Who, and Where, and Why…Thoughts on the Presence. God’s people in Crafton Heights are continuing to study the Book of Judges as a way of listening to how God comes to us in the midst of our brokenness. 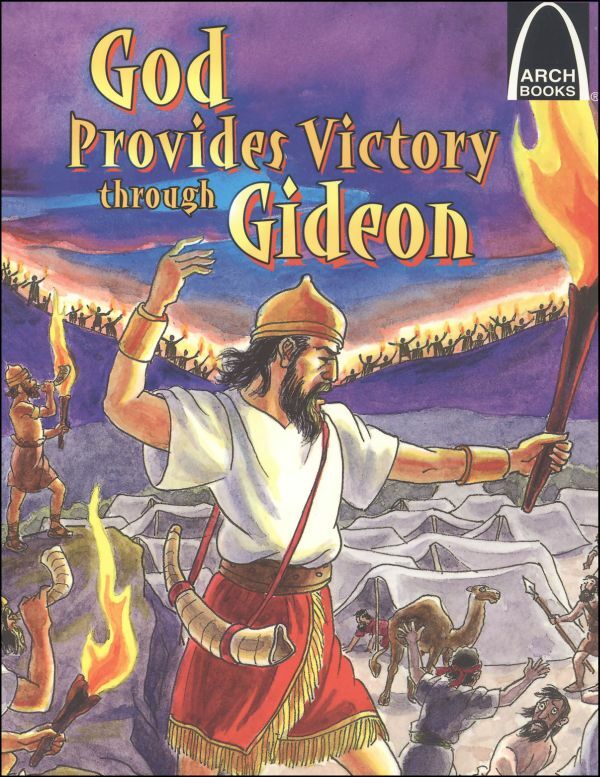 On 13 October, we began to hear the story of Gideon, the most prominent figure in that book. Our scriptures included Judges 6:11-24 and John 20:26-31. OK, I’m not going to make you raise your hands on this one, but if I were to take a little survey this morning and ask people who had ever even heard of the book of Judges prior to the beginning of this sermon series, I’m betting that many, if not most of the hands would be up. But let’s be honest. How many people have heard about Eglon and Ehud? 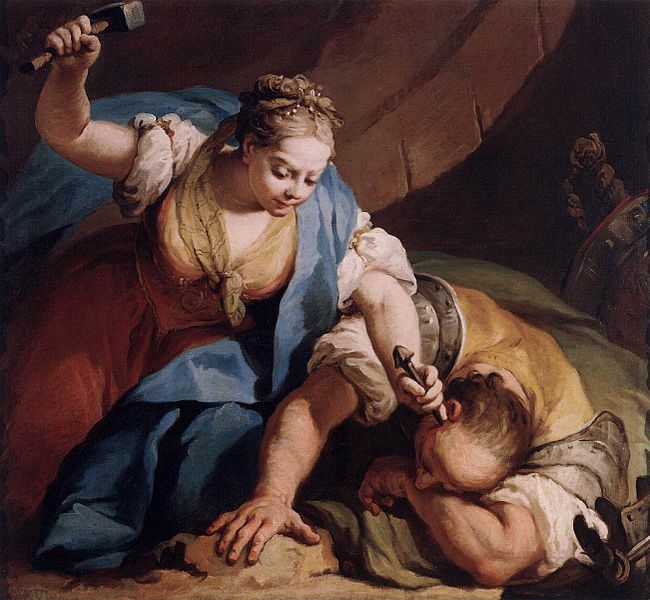 Who tells their children about Jael and Sisera? This is a part of our story that we don’t often read. But there are portions that some of us recognize. 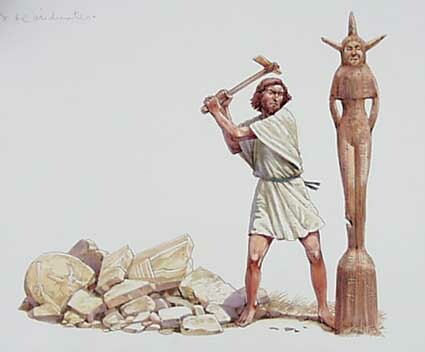 I’ve mentioned Samson as a “Judge” about whom a lot of people have heard. This morning’s reading introduces us to the person who gets more ink in the book of Judges than anyone else: Gideon. There are a number of stories in Judges that help us to understand who this man is, and how he points to the intentions of God. I have to warn you, though, about what we said last week: we are continuing to descend into a dark and cold period in the story of God’s people. Things are not as they should be. We know that right away because when we meet Gideon, he is threshing wheat in a wine press. When I was a kid, my brother and I loved to play stickball. We’d get a broom handle and a tennis ball and play every day that we could. Most days, we’d be down at the corner. Home plate was the sewer grate near the Wiener’s house. A ball hit in the air over the Hultberg’s place was an automatic home run. A ball hit into the windows at the Hultberg’s place was trouble. And any ball into the yard that comprised foul territory along third base was just lost – that guy never gave our balls back. But some days, we’d want to play, and it would be raining. So we’d play in the garage. We made a line about three feet high, and anything below that line was an out. Anything into the ceiling was also an out. But there were a couple of sweet spots that, if you could hit them, were worth a lot of points. Can I tell you that it usually went better for us when we played outside? Fewer holes in the wall, less paint spilled on the floor, and no broken light bulbs. 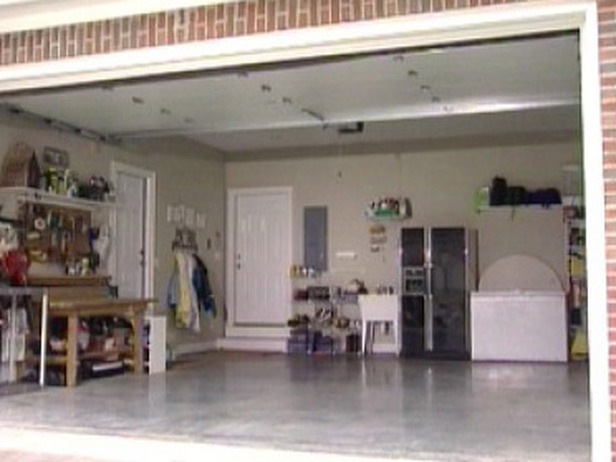 You could play stickball in the garage, but if my mom or dad caught you doing it, you’d get the point that it just ain’t right. Like threshing wheat in a wine press. Theshing wheat was done outdoors. You need a big area, a wide floor, and ideally, a little breeze. 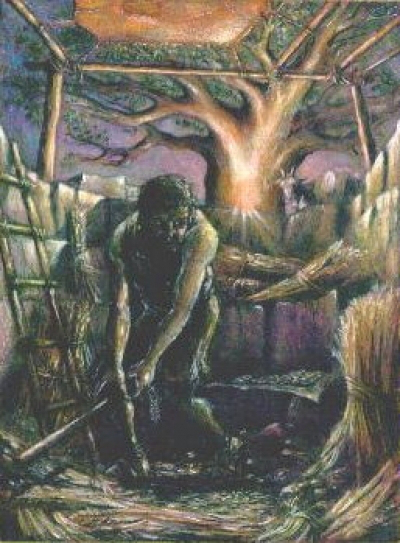 To thresh wheat by hand, you hold the stalks and slam them against the floor, or you lay them on the floor and you swing a flail at them. The grains of wheat fall from the stalk and you throw the stalks away and sweep up the grain. 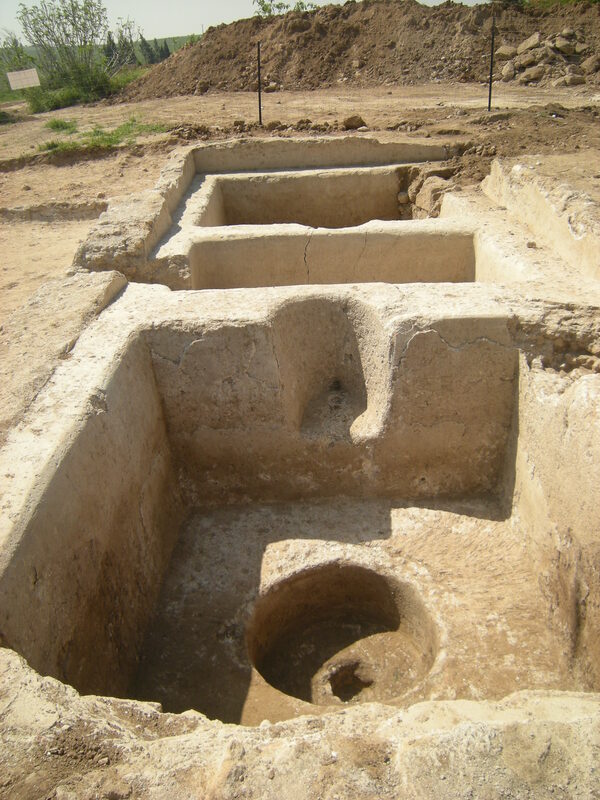 A wine press was a small, contained pit that was out of the wind – usually below ground. The grapes would be thrown into the pit and then stomped until the juice was released. Clearly, the smaller, more contained the pit was, easier collecting the juice would be. But here in Judges 6, Gideon is playing ball in the garage. He is hiding in the press, doing his level best to make sure that nobody – especially the Midianites – sees him preparing a harvest. 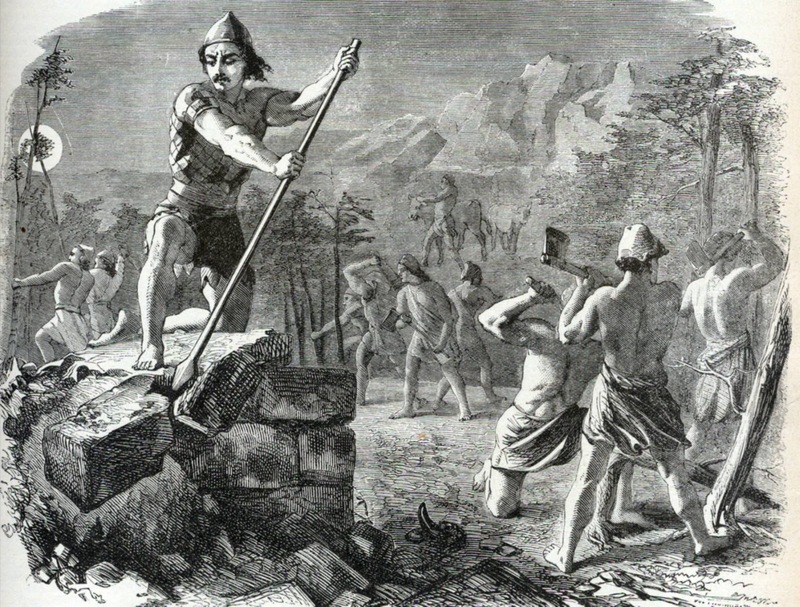 The beginning of the chapter, which we did not read, tells us that every harvest time the Midianites would cross over into Israel as thick as locusts and devour the harvest – so people like Gideon are forced into hiding their produce from the marauding enemy. And if that means threshing wheat in a winepress, well so be it. Have you ever been there? 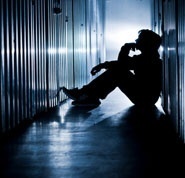 Have you ever found yourself so confused, so threatened, so isolated, so afraid, that you find yourself in the wrong place at the wrong time, doing the wrong thing? Here’s what I mean: I think that when people look for hope in a lottery ticket, that’s like threshing wheat in a winepress. When you whip out the credit card at the mall for that next thing that’s going to make you feel better about yourself, or when you wake up in bed next to someone you don’t really know or love, but who has told you things about yourself that you hope are true but are afraid to believe – that’s threshing wheat in a winepress. There is nothing wrong with wanting hope, or contentment, or love. But where are you looking for those things? Here’s another thing: when Gideon is trying to thresh the wheat in that winepress, do you think it’s working all that well? Of course not. He can’t do it well in that space, and it also says something about the meagerness of the harvest. He’s doing a bad job with a small amount. It’s the same with us. When we start looking for hope, or contentment, or love in the wrong place, we don’t really expect to find much. But we live with the illusion of those things until sooner or later we either start looking in the right place, or we give up altogether and say that there is no such thing as hope, contentment, or love. We come to the point where we have an altered view of reality, and we accept our own experience as authoritative for everyone. Just like the disciple Thomas, Gideon can’t believe the goodness and presence of God because he thinks he hasn’t seen it. And he can’t see it because he doesn’t believe it. The reality is that he is sitting in the presence of the Divine. But he cannot process that truth. In verse 8, we’re told that God sent a “prophet” to speak the truth to God’s people. In verse 11, we meet an “angel” who comes to speak with Gideon. And in verse 16, we’re told that it’s “the Lord” himself who is doing the talking… And still, Gideon can’t believe in the presence of God. Even though God is right there! Sometimes, we don’t believe what is right in front of us, do we? Not sure how to respond to that one. I’m just me. The core of our passage today consists of God seeking to convince Gideon that God is who God says he is. God has to pull out his ID and flash his name tag in order to get the man’s attention. In God’s case, the common method of getting one’s attention, Old-Testament style, involved some fire. Remember the burning bush, or the pillar of fire by night? Well here Gideon sets a feast in front of his Visitor and – shazaam! – it is consumed by flame. Turns out that God is who he said he is, and he is where he said he’d be – right with Gideon. In fact, let me help you do a little Bible memorization exercise right now. I’d like to stop the sermon and help you memorize a dozen Bible verses. Can you say this with me: “’I am with you’, says the Lord.” Now, repeat it. Have you memorized it? What does it say? Congratulations. You’ve just memorized the key phrases in Genesis 28:5 and 46:4, Exodus 3:12, Deuteronomy 20:1, Joshua 1:5, Isaiah 43:5, Jeremiah 15:20, Haggai 1:13, Matthew 1:23, Matthew 28:20, John 13:33 and Acts 18:10. And there are more. You really are a bunch of Bible scholars. A dozen verses before noon. Wait! Isn’t the presence of God good news? It sure ought to be. Unless I have given up looking for the holy and am happy just to be hiding out in my wine press. Years ago I was in a mentoring relationship with a beautiful young woman who had experienced great pain in her life. She loved Jesus. She yearned for his presence in her life. But she was in such fear and pain that she believed the only way that she could support herself was by working as a stripper at a “gentleman’s club.” I went to the city where she lived and we visited for a couple of days, during which time I tried to convince her that she had other gifts and skills and that God would make a way for her. She replied that God had given her this body and there was nothing wrong with what she was doing and my problem was that I was too uptight. You see – the presence of God can be terrifying and unsettling if we discover that we are in a place that is outside of God’s best. The reality of the presence of God as described in this morning’s reading, along with the other dozen verses that you’ve memorized, is that such a presence can and should prompt a change in behavior or outlook. My young friend, for instance, realized that the presence of God everywhere meant that she needed to leave the exotic dancing profession. How can you take advantage of your neighbor if God is there with you and the neighbor? How do you continue to tease and mock and bully someone at school if God is sitting between the two of you? How can we demonize those with whom we disagree if God is a part of the conversation? You see, if I am sitting in the wrong place, or doing the wrong thing, or looking in the wrong direction for hope or contentment or love, well then I may be uncomfortable when the true source of hope and contentment and love shows up and I continue to look elsewhere for those things. But if I can believe in that presence…If I can trust that God does provide those things, and more, to those who follow…then maybe – just maybe I can change. I can grow. I can be released from fear. Beloved, God is trying to convince you of something this morning. What is it? What if it is true? How would your life be different this morning if you knew that God was with you? How could your life be different? How should it be different? 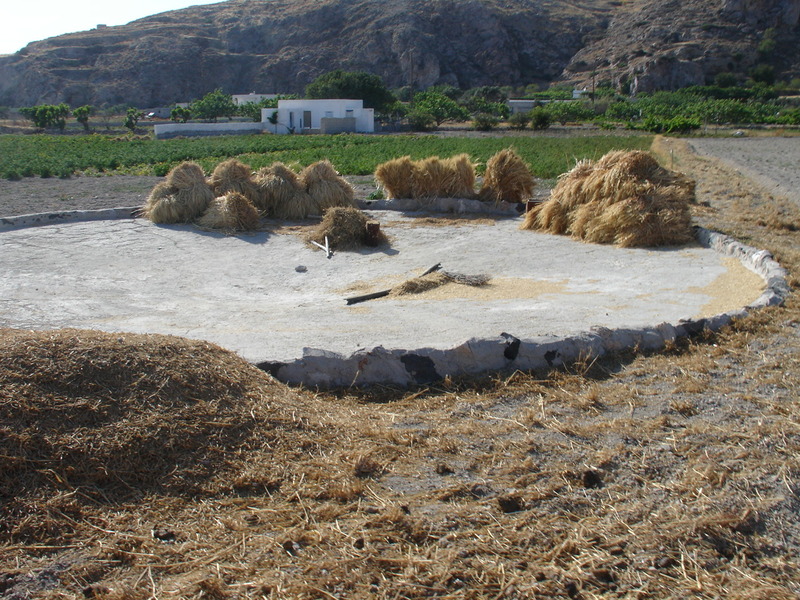 Nobody here, to my knowledge, has actually spent much time threshing wheat in a winepress. But plenty of us know something about holding back and hiding out. Plenty of us know something about an inability to believe that maybe, just maybe, this God is who he says He is – or, more importantly, we find it hard to accept the fact that he is where he says he is. One of my supreme joys as your pastor is to invite you to consider the glorious truth that God is with us. With you. Here. Now. There. Then. Thanks be to God! Amen. God’s people in Crafton Heights are continuing to study the Book of Judges as a way of listening to how God comes to us in the midst of our brokenness. On World Communion Sunday, we considered one of the most terrifying, and least-likely to be included in Children’s BIbles, texts – the story of Deborah, Barak, Sisera, and Jael (excerpted below). Our Gospel reading was John 12:23-26. If you have not been following along, you need to know that we are working our way through a study of the Book of Judges. This morning’s reading, like most of that volume, is a bleak and difficult story, especially if we take it at face value. As we begin, let me remind you about a couple of things. First, the overall purpose of Judges, as we’ve described it, is to help us see what happens when there is no sense of order and purpose in society. Several times the text says, “In those days, there was no king in Israel”, and I am taking that to mean that Judges paints a picture of a people who have forgotten the Lord and His purposes. And secondly, I’d like you to remember that the theological theme of Judges is that God calls his people to replace systems of repression and slavery with structures of release and liberation. 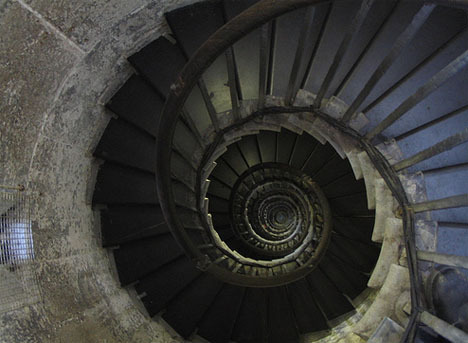 In reality, reading through Judges is like following a circular stairwell into a deep, dark basement. We seem to be going around and around, and instead of getting easier and brighter, it’s getting harder and darker and colder. And if you think what we’ll read today is bad, well, just wait until March. This week, I had the sense that a lot of these stories full of violence and bluster are the campfire stories of a culture that needs to hear something of God’s purposes and deliverance, even if they sound unbelievable. It’s a lot like whistling while you walk past the graveyard in the dark, I suppose. Let’s begin this fourth chapter, the story of Deborah and Barak, Sisera and Jael. 1 And the people of Israel again did what was evil in the sight of the Lord, after Ehud died. 2 And the Lord sold them into the hand of Jabin king of Canaan, who reigned in Hazor; the commander of his army was Sisera, who dwelt in Harosheth-ha-goiim. 3 Then the people of Israel cried to the Lord for help; for he had nine hundred chariots of iron, and oppressed the people of Israel cruelly for twenty years. But wait a second. It says we’re oppressed by a king…and what is the distinctive feature of this particular king? He’s got chariots. I seem to remember another king with chariots who tried to stand in the way of God’s purposes. Do you remember Pharaoh? Can you see how this is being set up as a story of God’s delivering God’s people? Last week we looked at the meaning of the names in the story. This week, we’ll see some more of that. We’re told that Deborah is the “wife of Lappidoth”, and that may be. But “Lappidoth” is also the word for “torches”. So she may be “Mrs. Lappidoth”, but she may also be “the torch lady”. She lives into that name, because she sure lights a fire under Barak! And “Barak” is the word for “lightning”. When you hear the rest of this story, I hope you’ll see that perhaps this is a bit of a joke, like when you call a bald man “Curly” or a 350 pounder “Tiny”. This guy is surely not quick, powerful, or brilliant. Barak is doubtful and even cowardly. He chooses to see the size of the problem, rather than the power and the purpose of the savior. “I can’t do it…you’ll have to come. 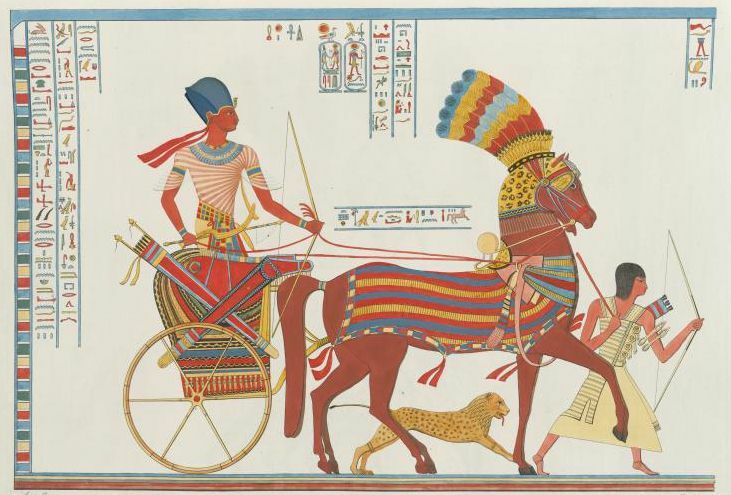 You be my ‘good luck charm’.” Earlier in this passage, I suggested that the chariots were to remind us of Pharaoh. Can you think of another man who was told by God to lead his people to freedom, and who tried to get out of it? Doesn’t Barak sound just like Moses here? Moses said that he wasn’t a good enough speaker, that he wasn’t powerful enough. Barak said he couldn’t do it alone, either. 9 And she said, “I will surely go with you; nevertheless, the road on which you are going will not lead to your glory, for the Lord will sell Sisera into the hand of a woman.” Then Deborah arose, and went with Barak to Kedesh. 10 And Barak summoned Zebulun and Naphtali to Kedesh; and ten thousand men went up at his heels; and Deborah went up with him. Here’s the truth: God does not punish people for an inability to believe, but I am sure that people who cannot trust or believe are unable to see all of God’s best. That’s the situation for Barak, at any rate. God will do what God will do, but you’ll miss out on some of it, Barak. 11 Now Heber the Kenite had separated from the Kenites, the descendants of Hobab the father-in-law of Moses, and had pitched his tent as far away as the oak in Za-anannim, which is near Kedesh. OK, that’s a little bit random. Why do we need to know about Heber and the Kenites? Isn’t this a story about Deborah and Barak? Yes, it is. But here we are reminded that the Kenites, even though they are from Canaan, usually play for our side. Going all the way back to Moses, we’ve had pretty good relations with them. Moreover, this verse explains why this particular group of Kenites found themselves in Kedesh. They are usually much further south…but for some reason, there are a few of them around here. I wonder what they are doing? Wait! Sisera found out about Barak’s army? How did he do that? Who told him? Heber! Oh, you’ve got to be kidding me. I thought we were friends! But now you’ve ratted our guy out to the enemy. 13 Sisera called out all his chariots, nine hundred chariots of iron, and all the men who were with him, from Harosheth-ha-goiim to the river Kishon. 14 And Deborah said to Barak, “Up! For this is the day in which the Lord has given Sisera into your hand. Does not the Lord go out before you?” So Barak went down from Mount Tabor with ten thousand men following him. 15 And the Lord routed Sisera and all his chariots and all his army before Barak at the edge of the sword; and Sisera alighted from his chariot and fled away on foot. 16 And Barak pursued the chariots and the army to Harosheth-ha-goiim, and all the army of Sisera fell by the edge of the sword; not a man was left. 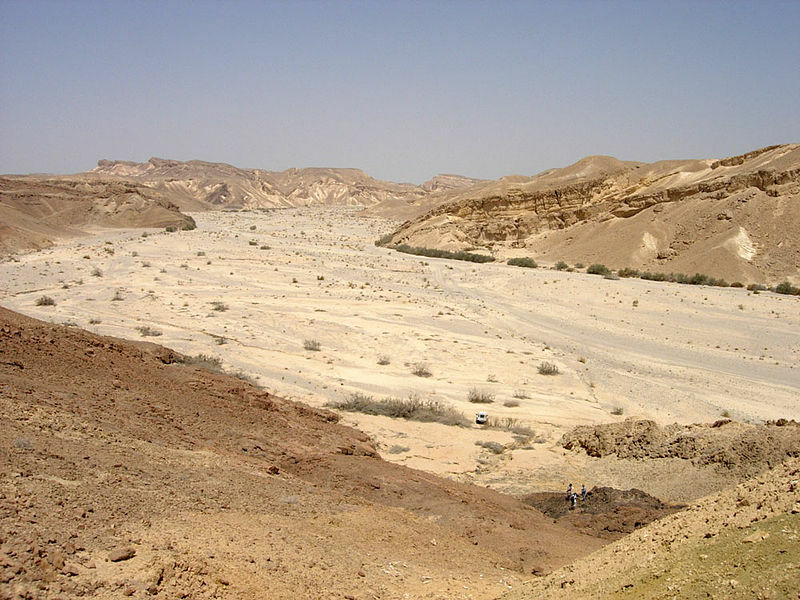 The scene shifts now, to what the RSV calls “the river Kishon.” The word that’s used, though, is “Wadi” – “Wadi Kishon.” A “wadi” is a riverbed that is usually dry, packed and firm. However God defeats the army of Sisera in the Wadi Kishon. Chapter 5 (verse 4 and 21) describe a battle occurring in a thunderstorm – the dry wadi became a raging torrent, and Sisera’s army was thrown into a panic. In fact, the word for “panic” that is used here is the same word that describes what happened to Pharaoh’s chariots in Exodus 14:24. Can you see the echo of a liberation story here? 17 But Sisera fled away on foot to the tent of Ja′el, the wife of Heber the Kenite; for there was peace between Jabin the king of Hazor and the house of Heber the Kenite. 18 And Jael came out to meet Sisera, and said to him, “Turn aside, my lord, turn aside to me; have no fear.” So he turned aside to her into the tent, and she covered him with a rug. 19 And he said to her, “Pray, give me a little water to drink; for I am thirsty.” So she opened a skin of milk and gave him a drink and covered him. 20 And he said to her, “Stand at the door of the tent, and if any man comes and asks you, ‘Is any one here?’ say, No.” 21 But Jael the wife of Heber took a tent peg, and took a hammer in her hand, and went softly to him and drove the peg into his temple, till it went down into the ground, as he was lying fast asleep from weariness. So he died. 22 And behold, as Barak pursued Sisera, Jael went out to meet him, and said to him, “Come, and I will show you the man whom you are seeking.” So he went in to her tent; and there lay Sisera dead, with the tent peg in his temple. 23 So on that day God subdued Jabin the king of Canaan before the people of Israel. 24 And the hand of the people of Israel bore harder and harder on Jabin the king of Canaan, until they destroyed Jabin king of Canaan. Seriously? A tent peg through the skull? Look, you can read through the Bible and find a lot of places where you think, “Somebody needs to be wearing a WWJD bracelet here”. This is not the best and finest part of our story, folks. What’s going on here? Well, for starters, let’s consider a couple of things that “everyone knows” – that is, what would be really obvious to hearers of this story that might slip past us? Sisera, the enemy general, went straight to the tent of a woman. In that culture, that’s a serious breach. He ought to be presenting himself to the master of the property, the man. In a time when the “taking” of “war brides” and forced sexual advances was common, a soldier walking into the tent of a woman is a real threat. Furthermore, he asked for a drink. Everyone knows that a good guest doesn’t ask, he waits to be served. This is very forward and, again, threatening. Finally, this guest commands his host to lie for him. The chapter concludes with Jael finishing the story, all right. She deals with this threatening stranger and along the way, she undoes her husband’s treachery (remember that it was her husband, Heber, who alerted Sisera to Barak’s presence), and she declares God’s victory and liberation. So what’s the good news here? What can we learn from this difficult story? The Good news is that here in Judges, just like in Exodus, God acts to save his people who cry out. God’s power brings liberation and release. Deborah and Jael see this, believe it, and act into it. These strong women take the steps that they can, using the tools they have at hand, to create a future consistent with God’s intentions for peace and freedom. The men? Well, not so much. Both Barak and Sisera seem very intent on saving their own skins. Barak, at least, is mildly interested in what the Almighty has going on, but it is clearly secondary to self-preservation. 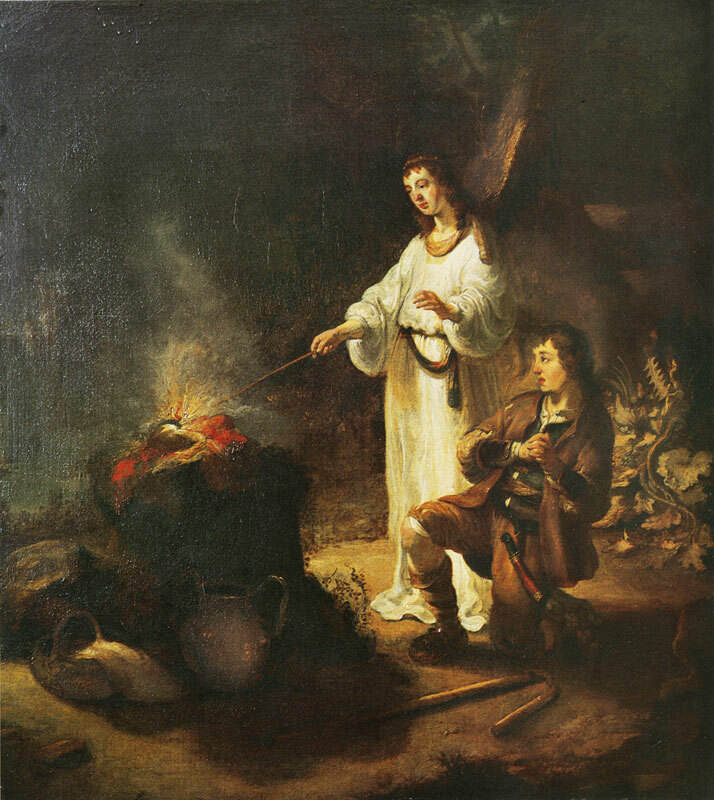 He can’t believe what Deborah says and will not move forward into God’s promise without the “torch lady” lighting a fire under his bum. Sisera leaves his army, hides in a woman’s tent, and lies about that. If we were to interpret this chapter in the light of our reading from John, we could say that each of the men sought to save their own necks by playing it safe. They withheld trust and faith, and it ended up costing each of them. So the women are faithful and able to walk into God’s purposes, while the men shrink back. That leads me to another question: How do I respond to the call of God? How do I move forward into a future characterized by the intentions of a liberating, empowering, releasing God? I know. I know. The story in Judges 4 is a nasty, brutish narrative. It’s written by a people who knew far less of God’s intentions and presence than you do. Nobody here had the Psalms or the Prophets, let alone the Gospels or the life of Jesus. Every one of you sitting in the pews this morning knows more about light and life and God’s purposes than anyone in this story ever did. You have more light than they did. Barak looked at Deborah, and then at the size of the enemy army, and said, “No way. I am not going in there. At least, not alone. I’m only going if you will come with me, Deborah.” And she becomes his token, his good-luck charm, his idol, his crutch. What are you afraid of? What do you look at and say, “No way. I can’t do it. Not gonna happen…”? Is it taking charge of your financial affairs? Getting clean? Are you afraid of aging or dying? Do you lack boldness in a relationship? What do you insist on taking with you into the presence of fear? Barak took Deborah. Do you take a drink instead of facing your fear directly? Do you medicate your problems with shopping, or seek to anesthetize them with gambling or television or hiding out in the bedroom? Do you find that you simply can’t move because you feel incapable and overwhelmed? I’ve got good news. In a few moments, you’ll be invited to sit at the Lord’s table. You’ll have the opportunity to receive the sacrament that more than anything else is a tangible sign of God’s presence with you. A reminder that God’s intentions are for you. As you come to the table, you can let go of your good luck charm, your idol, your fear, your crutch. You can walk toward the future, knowing that God is there, that God is in control. 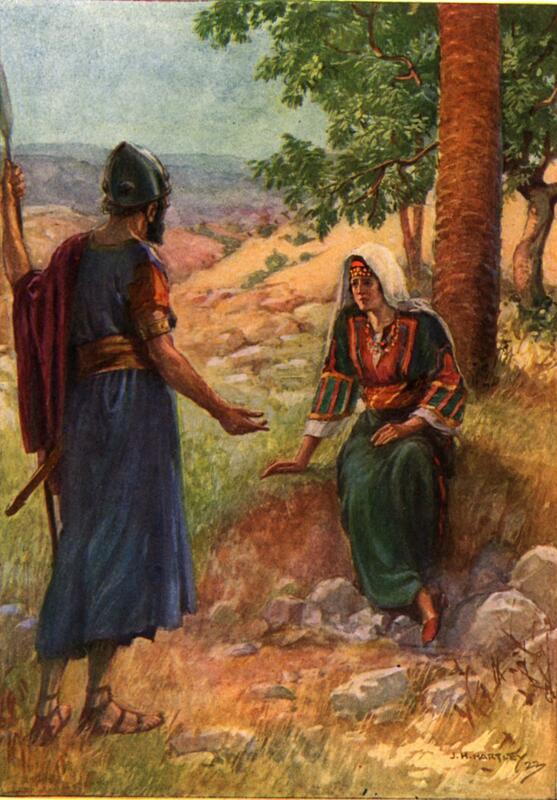 Barak thought he was helpless unless he had Deborah with him. Sisera thought he was safe hiding in a lie. Both of them were wrong. There is nothing else we need to bring, and no reason to hide. Come into the light. What have you got to lose? No, seriously, I’m pretty sure that most of us need to lose something. What have you got to lose? The good news is, you can lose it, and follow.